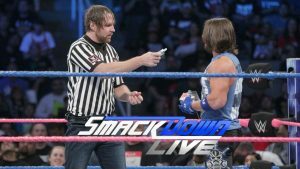 AJ Styles is the new United States champ after a win at a live event at Madison Square Garden, but Owens doesn’t like it when Styles issues an open challenge for his new title. 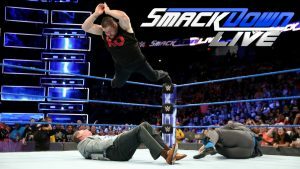 Also, with less than two weeks until Battleground, the card continues to form in an episode of SmackDown that feels rather forgettable, but sets up some matches and story lines heading into the big show. 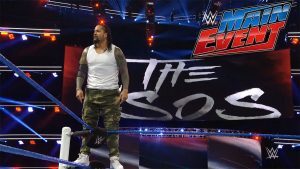 The Usos face the Hype Bros in a pretty okay episode of Main Event. 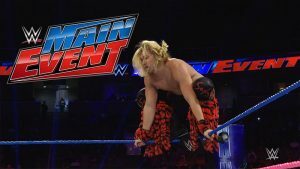 Zack Ryder takes on Tyler Breeze and American Alpha faces The Ascension in a predictable but pretty entertaining episode of Main Event. 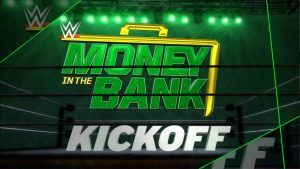 The Hype Bros versus The Vaudevillains and Jack Swagger versus Tyler Breeze were both decent matches, making this episode worth watching. 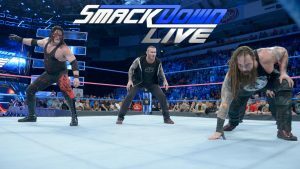 AJ Styles picks his next opponent, the Wyatt Family is (mostly) back together, The Miz isn’t done with Dolph Ziggler, and more on a packed and entertaining episode of SmackDown. 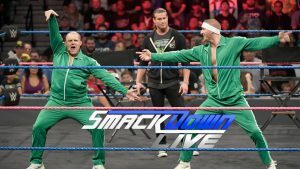 A big eight-man tag match featuring American Alpha, Hype Bros, The Vaudevillains, and The Ascension served as a good warmup for the second SmackDown Live PPV. 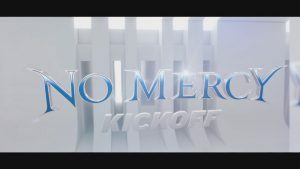 On the last stop before No Mercy, this SmackDown was packed with stuff, though it felt a lot like a glorified promo for the PPV. Which I suppose it kind of is. 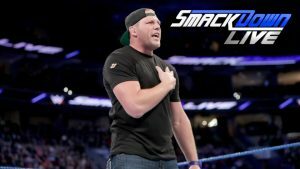 Heath Slater officially signs with SmackDown, The Miz puts himself in the main event, the new “champ that runs the camp” has a hard time finding a friend, Swagger switches brands, and more on a show that was heavy on talk and light on action. 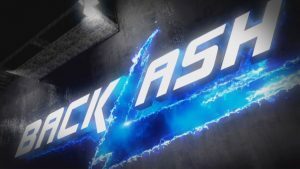 The best of Backlash wasn’t as good as the best of Summer Slam, but this was an enjoyable show and a good start to the brand exclusive PPVs. 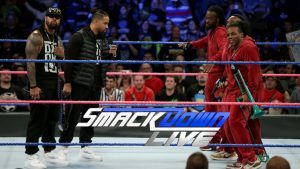 The Usos make a statement in an okay episode of SmackDown. 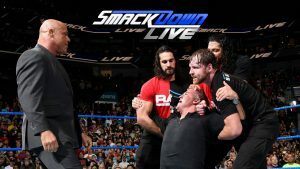 A fine show made better by the return of The Headbangers!